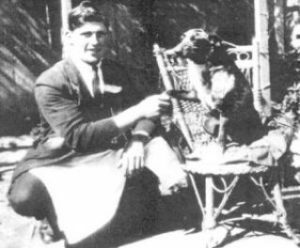 Meet Bluey, he was an Australian cattle dog, born June 7, 1910, who worked among sheep and cattle for 20 years, and survived until Nov. 14, 1939, when he was put down. He had lived for 29 years, five months and seven days. His secret to extraordinary longevity? Well, according to his owner Bluey lived on a diet of…wait for it….Kangaroos and Emus. He was the world’s oldest dog, a record that has never been beaten. If we were to take this discussion in a fairly linear direction a + b = c. Dogs who live on a diet of Kangaroos and Emus live until a grand old age. Of course, life (and death) is not so simple. Nor would it be so easy to get a regular supply of Kangaroo and Emu meat, but that’s by the by, the principle of Blue’s diet was meat is good. Dogs like Bluey might be the exception in terms of the type of meat that makes up the largest proportion of their daily diet, but dogs around the world tend to live on meat and enjoy doing so. Cartoonists have been depicting dogs chasing a string of butcher’s sausages for generations. 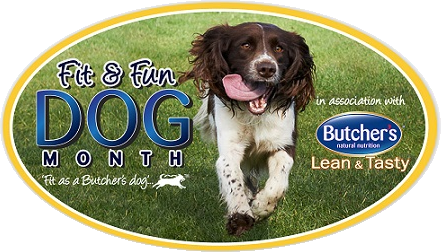 So why is it that according to the Butcher’s Healthy Happy Hound report that only 14% of dogs are being given a solus meaty dog food diet on a daily basis, while twice as many owners (29%) say they actually think their dog prefers it? Let’s tackle some of the more common questions, starting with the big one: Is a meat diet good for dogs? A: Most definitely, and there is no upper limit to the amount of protein a dog should eat. Although dogs have evolved over the years to take up firm positioning as one of the family, dogs are essentially at their core still carnivores and have the same dietary requirements as their ancestors. 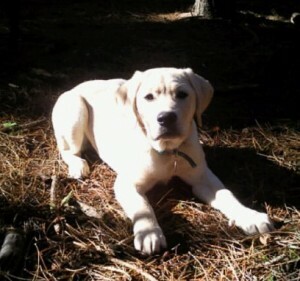 To ensure they get the right nutrients a dog’s diet must contain the right amount of protein, fat, vitamins and minerals. A wild dog would typically eat up to 90% meat with small amounts of fish and eggs, in addition to 10% of grasses, berries, nuts and vegetation. Animal proteins are more ‘complete proteins’ because they contain all the essential amino acids required whereas plant and cereal proteins lack one or more of the essential amino acids and are therefore considered ‘incomplete’. Animal proteins are also more digestible than plant and cereal proteins, hence animal proteins have a higher bio-availability. It is important that all essential amino acids are present, if an essential amino acid is missing or there is not the correct level/amount, then protein metabolism stops. Protein is vital for cell maintenance and growth and for dogs can also provide most of their energy requirements. 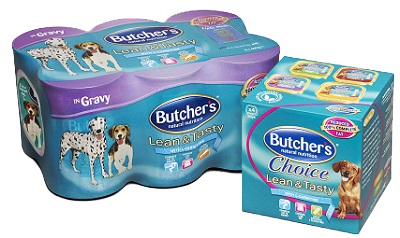 Food such as Butcher’s complete foods are developed to meet all nutritional requirements a dog needs in a highly palatable meaty recipe. A high quality complete diet will give dogs all the essential vitamins and minerals to the need to keep them happy and healthy, lean and fit with everything they need to maintain a healthy, active lifestyle. You may now be thinking: will my dog’s miss out on other things, like carbohydrates if they eat a solely meat based diet? By choosing a good quality complete meat based diet your dog will be getting all they need. Remember, our dogs bodies are made for meat. Dogs have a short digestive tract not suitable to digesting a high carbohydrate diet and their mouths have sharp teeth and strong jaws designed for ripping and shredding not grinding grains and vegetation. Meat is packed full of the goodness needed to ensure their coats stay healthy, eyes bright and that they have enough energy to go about their day, their strong acidic stomach will help break the meat down ensuring they get all they need. Dogs naturally need meat as part of a balanced diet – if you were to give your dog a choice, what would they choose? That isn’t to say your dog won’t enjoy the occasional treat and that given the chance to scavenge and serve themselves as if the home were their own self-service buffet they would allow the opportunity to pass. Dogs in the wild were hunters and scavengers which explains why they think food left out in our homes seems fair game to them. Not only will our dogs consume everything that drops on the floor, given the chance they will rifle through dustbins, and given the opportunity take it straight from a plate. After all, if you have ever fed your pet from the dinner table they will forever believe that they are entitled to it at any mealtime. But too many treats outside of their diet can lead to body condition and weight problems and potentially even cause medical issues. The advantages of choosing a naturally meaty dog food diet are many. Health and longevity are increased and the diet can be tailored to individual needs. Maybe old Bluey really was on to something, eh?